As we know that marketing is essential when you are running your own business/brand. Obviously, if people don’t know what your business/brand is all about and what you have got to offer them, how can you even imagine surviving in this competing world? While there are many channels to use for your marketing strategies, one is marketing through social media channels. Though we also have many social media websites, apps: one of them that has proven its worth is Instagram. 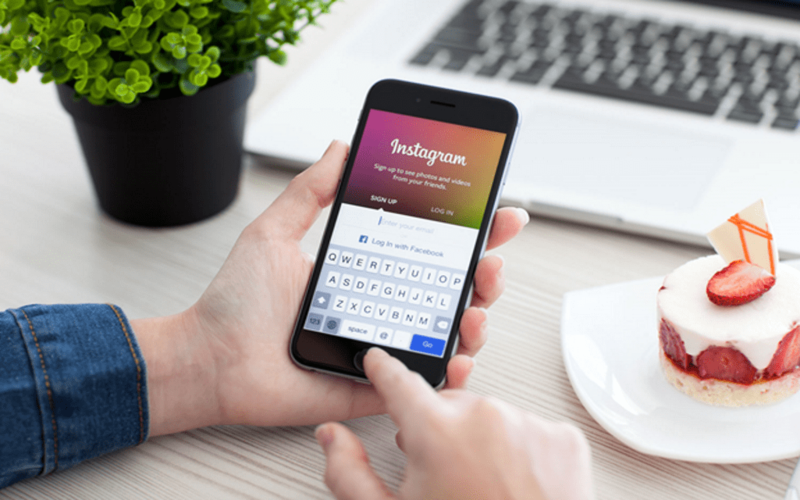 Instagram was created in 2010, and by now, it has grown up to 700 million active users. Well, I must say a very impressive growth rate. With such a growing and popularity, who won’t want to market his business/brand by using Instagram? With such a huge family, Instagram helps one to market his business/brand to his targeted audience. Even if someone is new to Instagram or doesn’t know how to use this space for marketing, there are many marketing tools for Instagram that can do wonders for you. And today I am going to tell you about those Instagram Marketing Tools for 2018. The most important thing when marketing through Instagram is to know what is your most liked content, which type of content or hashtag have got you the highest engagement, what time is most suitable for you to post etc. For all of this and for many other things to analyze, Iconosquare is a marketing analytical tool for Instagram. Iconosquare helps its users making their social media marketing strategy and also helps them do their competitor’s analysis. Iconosquare tells its users the growth rate of its followers, daily gain/loss of followers, a location of your followers and much more such things. So, by using this tool, you know your optimal time to post, what to post and how to compete. These are the most valuable analytics to consider in marketing. Instagram is all about visual content you’ve got to share with your followers, and for that, you need to post consistently to achieve the highest engagement. But many times when you are running your own business, you are kept with so many other tasks that posting content regularly and manage marketing becomes difficult. But you need not worry because tools like Buffer are there to help you. It is a great time saver that helps you manage and schedule your social media accounts including Instagram. It also provides in-depth analytics for your Instagram accounts. 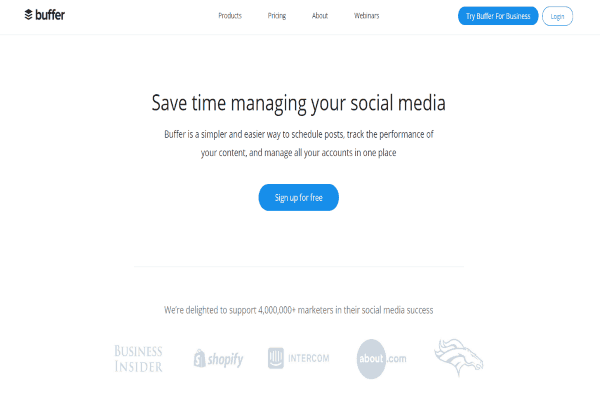 Buffer helps you publish your content on social media on your behalf on a regular basis. But as Instagram doesn’t allow services like to publish on your behalf, you need to schedule your posts through Buffer, and when the time comes, Buffer notify you with push notification with a preview of the post plus its caption. You only need to allow this, and the post will be posted on Instagram. There are a lot of Instagram tricks that can help grow any account. But the effectiveness of each depends on different factors. Buzzweb account growth feature analyzes user’s page and provides him/her with the helpful insights about his/her audience and engagement rate. These might be the recommendations on posting time or tips on how to get more followers in short time. The feature might be useful for any Instagrammer – ordinary user, Instagram influencer, or brand representative. 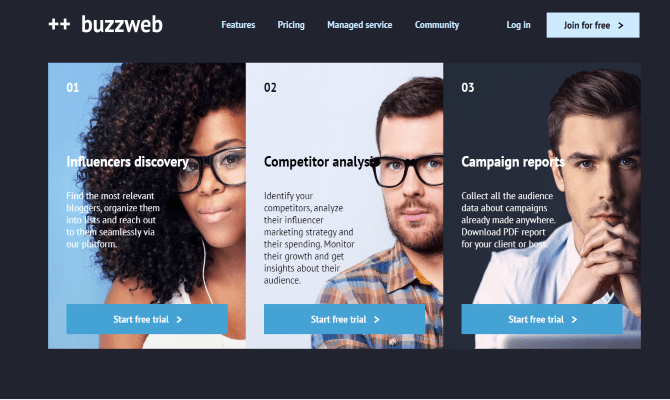 Three more Buzzweb features might be more interesting to professional markets and PR specialists. These are influencer discovery, social media campaign reports, and competitor monitoring. Sprout Social is another tool used for managing your Instagram accounts. In addition to scheduling your posts, it has a separate report section that helps you make up for the time you’ve missed on Instagram. 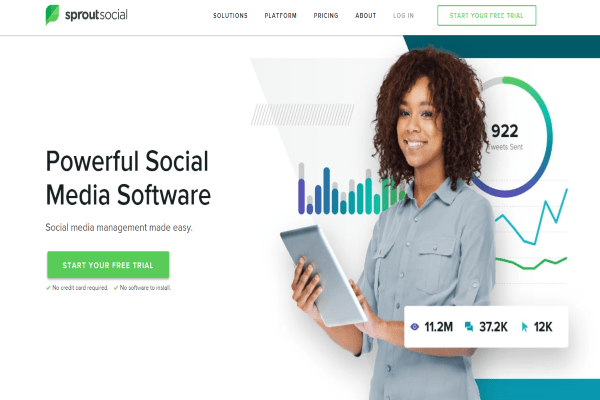 Sprout Social lets you manage and monitor your likes/comments and Hashtag that proved very useful for you, in marketing. You’ll get to know which Hashtag are giving you the most engagement and output so you can use them in your future posts. Instagram is the game of followers. The more followers you have, the more chances you have to market your business/brand to your targeted audience. Vibbi provides a way to gain followers on Instagram fast. 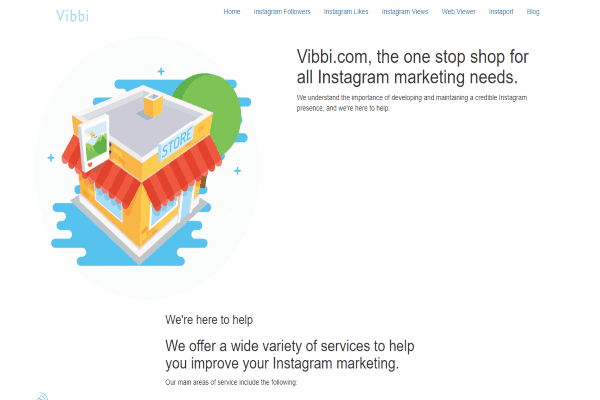 Vibbi is a tool specially made for Instagram. It helps you get the right amount of followers for your account and provides many services to help you improve your marketing needs. It also helps you get Instagram likes and view for higher engagement. So, these were some tools that will help you market and grow your business/brand on Instagram. Make right use of these tools as much as you can and watch your business! Engagement is the key to success on Instagram. As according to Instagram’s new algorithm, posts with the highest engagement can find a more top place in feeds. For that, you need to have creative and unique content all the time. Sometimes it becomes difficult to create such content on a regular basis. 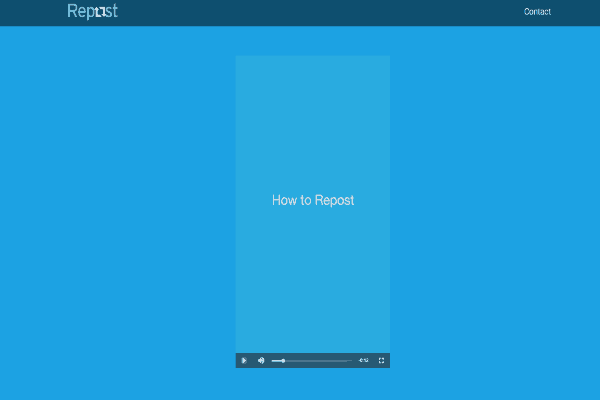 In this regard Repost helps you share others’ post on Instagram that is related to your niche by automatically crediting them. If you find someone appreciating your business/brand in their posts or if someone uses your branded hashtag you can repost their posts on your account for marketing purposes and to tell people about your satisfied and loyal customers.